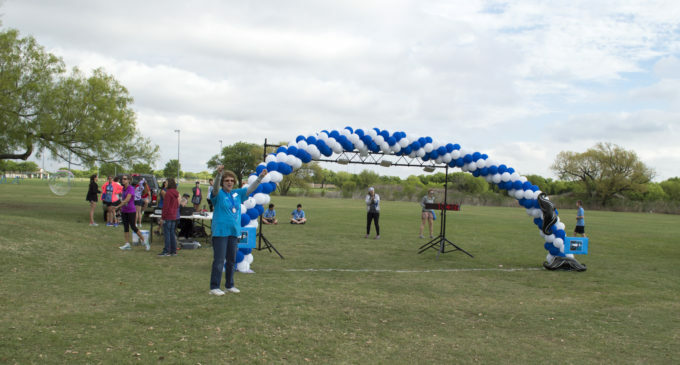 The sun may have hardly risen, but about 300 runners had already gathered in their blue t-shirts at North Lakes Park for a quirky Saturday morning charity event, perfectly fit for Denton. The 2nd Annual Mustache Dash took place on April 1. Fooling aside, the 5K and 10K races were an amusing fundraiser to support First Refuge Ministries of Denton. Villarreal played a major role in helping plan this year’s dash, which was followed by a post-race awards ceremony, games, food and Zera coffee for attendees to enjoy. The runners of the dash helped raise $25,000 to go towards all these services, according to Paul Juarez, executive director of First Refuge Ministries. This money came from both registration fees as well as donations from individuals, whether they ran in the dash or not. The diverse turnout of runners represented the conglomeration of Denton’s population. Edgar Dominguez, a 25-year-old t-shirt printer and native of Chihuahua, Mexico, was thrilled to participate in the morning’s race. With a beard as big as his smile, he admitted that his English knowledge was slim, but he was excited to endorse a cause he supported. He’s even more passionate about his facial hair. He said he has maintained his beard with special oil and shampoo for over seven years, and he doesn’t plan on shaving anytime soon. Juarez has served as executive director of First Refuge Ministries since September 2015. 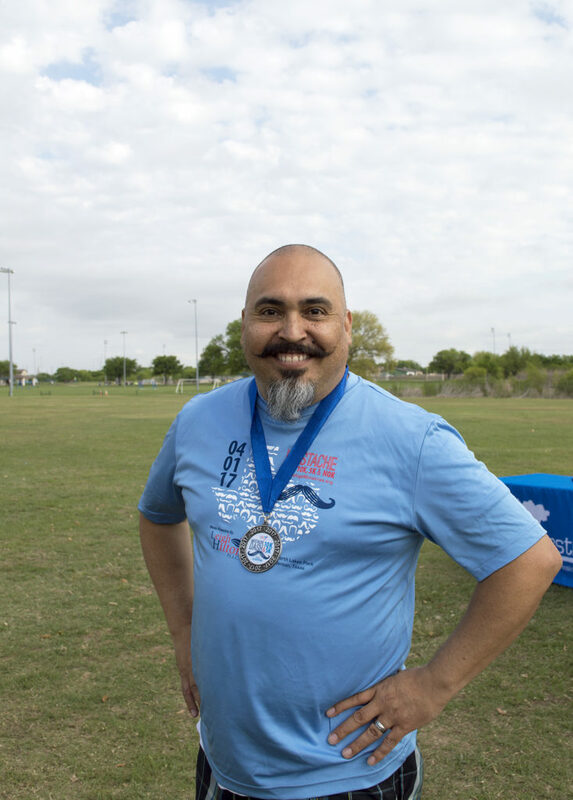 During the planning of last year’s first annual Mustache Dash, Juarez said the funny theme came to him at an unexpected time. The theme was evidently a hit. Whether participants were bare-faced, bearded or adorned with stick-on mustaches, the runners seemed to get a kick out of Juarez’s idea for the second consecutive year. Runners weren’t the only people who changed up their look for the event. Even if the facial hair doesn’t see another day, the funds and memories created by the 2nd Annual Mustache Dash are sure to last.